My name is Chris. 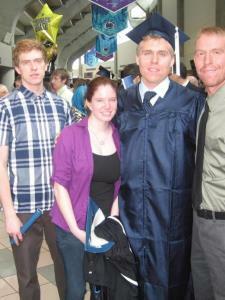 I just recently finished my Bachelors of Science at Penn State University with a degree in Chemistry. From my four years experience of undergraduate school, I know for a fact that teachers at any level have a difficult time explaining even the most simple topics. While at school, I worked full time in retail and also spent around 10 hours a week as a chemistry tutor for Penn State. Teachers usually skip ahead of the important details of a topic in order to complete their lesson plans. If taught correctly, students would have a greater understanding of the details of a topic rather than the broad aspect of a topic. Understanding the fine details makes a subject like Math much easier to understand when topics become more difficult. I have A B.S. Degree from Penn State University in Chemistry. I tutored students specifically in Chemistry for Penn State. I can make topics understandable for students. I earned a degree in Chemistry at Penn State. Chemistry requires the understanding of math at the highest level. Many problems that students had while I tutored chemistry for Penn State arose because of students struggles with algebra. All the math covered in the ACT test was used heavily in all my core courses of Chemistry at Penn State. The best method to study for tests like these is to become familiar with the question formatting of the ACT test. When I tutored chemistry at Penn State, most students problems dealt with math.